The NSW Chairman of Australia First Party, Ms Lorraine Sharp, has today announced that the Party has accepted the nomination of two candidates for the NSW State election in March 2015. They are: Mr. Victor Waterson for Penrith and Mr. Alex Norwick for Wyong. Announcements on two other candidates will be made in the next couple of weeks. Organizational work in respect of all four candidates has already begun. 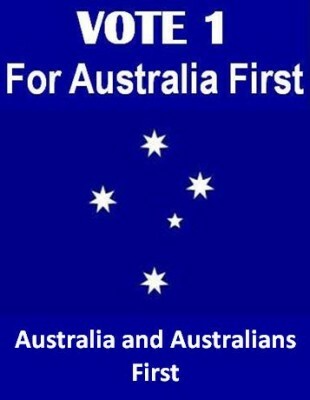 Australia First Party – because we are not registered in the State – shall present its candidates on the ballot without a party name next to them. The party employs electoral work as part of its method to deepen its community involvement and raise profile, while recruiting new adherents. We are confident of a good return on our effort.